Become Rigmor's Guardian Protector in a DLC sized adventure. 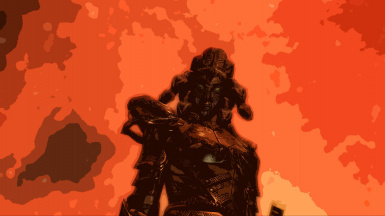 Enter Oblivion, face Daedric Princes and fight the Thalmor, to protect Rigmor from her dark past...and from herself. Translations are permitted, let me know and I'll link them on the page. Please do not ask for permission to edit or acquire the script. Please do not ask to upload replacement mods to change Rigmor. or add to Rigmor's story for public release. 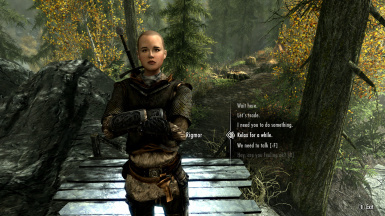 Fixes Rigmor failing to fill her alias in Mission 17 "Guardian General"
Adds gender recognition Sigunns scene Mission 08 "Sorella"
Canges seats on the Aspen Tree log, on the route to Riften Mission 16 "Shadows of the past"
Fixed issues with some NPC's armors not showing. Angi's camp default items changed from deleted to disabled for mod compatibility. Nav mesh fixes, Rigmor can enter and exit her own tent. 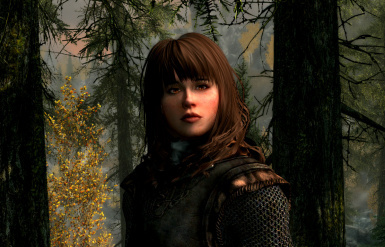 After her father was executed for war crimes in Alinor and her family cast down, Rigmor was separated from her mother and sent to Valenwood. After four years in isolation she is rescued by a Khajiit Emissary from the brink of death and given safe haven. ...that can only be paid in blood. 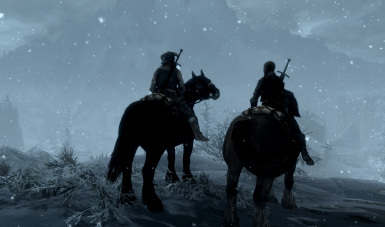 Become Rigmor's Guardian Protector on an intimate journey of discovery, retribution, hope and love set before the Return of the Dragons and the end of the Civil War, in an epic, game sized 18 mission Quest/Companion mod for Skyrim. I just completed RoB, and what can I say.... worthy of official DLC. I can see a lot of blood, sweat, and tears went into this creation and you should be proud of such an achievement. I fully enjoyed the long hours I played through it and found it to be fabulously polished. from the classic hero TES usually offers and promoted a fantastic change of heroic pace. I applaud your winning efforts and hope you continue to share your creations with everyone. 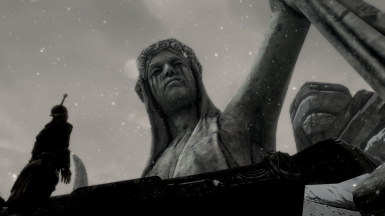 Us devs are inspired by you and the rest of the TES mod base, so thank you very much for this fine treasure!" "I'm not sure that there's much more to say than, "Wow". I mean, the quality of the mod overall is almost perfect to a fault. so starting off with RoB doesn't really leave much to do. 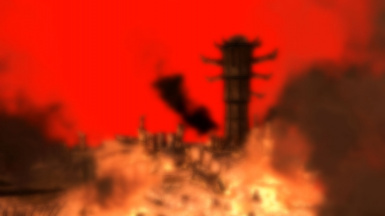 Destroyer of worlds? Pfft." 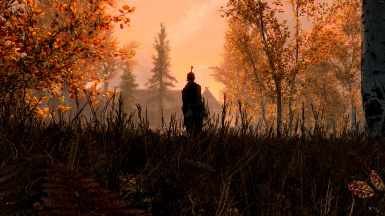 "This mod ruined my Skyrim! I will never be able to play or look at Skyrim the same way again. well designed and interesting quest mod, I have played to date. Completely lore friendly. Full of detail. Pulls your every emotion into the game." "Great Story. I was glued to my pc until I finished it. Thank you." and I've never felt so emotionally involved with a character before." "Just finished my playthrough. A truly exceptional mod." "I've just completed Rigmor. What an awesome mod, and thank you for bringing such a fabulous story to us! The quality of the story, voice acting and the game play is outstanding." "Beautiful.Made me cry on more than one occasion. and in a popular meme style...10 out of 10, would cry again. Thank you so much, this ruined skyrim for me as it made everything else just pale into comparison. you need to play it." Fast Travel to Riverwood and talk to the mysterious Khajiit standing on the boardwalk and the Quest will begin. Not everyone will have an issue playing this mod, but with a heavily modded game and old save, there seems to be the issue of missions (quests) not starting and these are critical. I don't know why this happens and at present there's no fix. 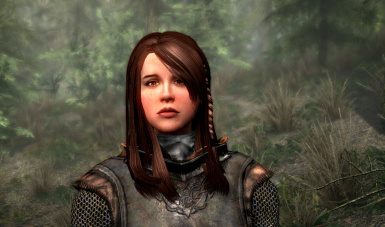 Sadly I have to recommend people make new mod profiles to play this mod, or start from a new game, from Helgen. People playing new games even with the same mod set up report no critical issues and quests that previously did not start, now do. I am still looking into the reasons why and will always support the mod. Best played with a new game on a new profile. Leave your followers at home. Avoid mod "overhauls" that alter NPC ai. Avoid mods that alter Pale Pass border region. 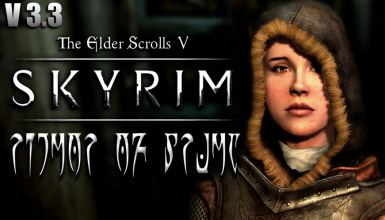 Use the patch if you have Beyond Skyrim: Bruma installed. Bring a horse or use the ones provided. Don't fast travel unless the quest log says it's safe to do so. Play the quest from start to finish. Save often F5 is your friend. the contents into your data folder, make sure you include the "rigmor.ini"
A video blog from Rigmor's voice actress Maggie for the fans. 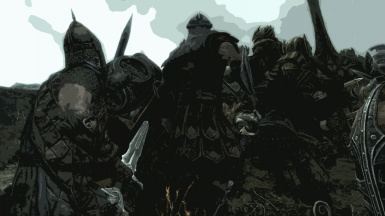 KEEP UP ON THE PROGRESS OF THE SEQUEL "RIGMOR OF CYRODIIL"